Cheese is a commonly used ingredient in kitchen that is usually added to food preparations to enhance the overall taste and palatability of the food. Mozzarella cheese is soft, white and unripened, that should be consumed shortly after manufacture. This cheese has a clean and mild flavor and its melting and stretching properties make it ideal for pizza. This household favorite cheese is native to Italy and is traditionally made from the milk of water buffalo. The food we eat has a great impact on the immune system. One interesting study found that a diet containing cheese induces T cells, which regulate the immune and inflammatory responses and suppress the production of pro-inflammatory compounds. T cells destroy the cells that are infected and prevent the invasion of harmful foreign particles. Another research-based study found that a cheese-containing diet alleviates the symptoms of colitis by decreasing the formation of pro-inflammatory compounds and increasing the production of anti-inflammatory compounds. Mozzarella cheese is a great source of protein. One ounce of mozzarella cheese contains 8 grams of protein. You can enhance the overall protein content of your meal by adding mozzarella to your diet. Individuals who are underweight, malnourished and weak or those with a compromised immune system like HIV or cancer, require more protein in their diet. Besides this, growing children also need more protein for adequate growth and development. It stimulates the salivary flow that helps in the oral clearance of food particles and reduces the incidence of dental caries. A drop in the flow of saliva gives rise to dental caries and oral infections. Consumption of mozzarella cheese also reduces bacterial adhesion. Adhesion of bacteria on the enamel surface results in accumulation of cariogenic biofilm on the tooth enamel. Intake of mozzarella cheese decreases the enamel demineralization and increases the remineralization due to the presence of casein, calcium and phosphorus in it. Individuals with lactose intolerance cannot digest the natural sugars present in the dairy products, particularly milk. This may lead to nutrient deficiencies in such individuals. But, cheese like mozzarella has a low lactose content, which is why individuals with lactose intolerance can easily add it to their diet. While preparing mozzarella cheese, whey, the liquid part that remains after making the cheese is discarded and even lactose is poured off in the whey. Hence, such individuals can get their dose of calcium from mozzarella cheese. Please note, mozzarella cheese is low in lactose and not ‘lactose-free’. Thus, do not go overboard on cheese. Only a few natural food sources of vitamin D are available in nature. Therefore, there is an increase in the manufacture of vitamin D-fortified foods. Kids and teenagers do not enjoy drinking milk on a daily basis. Milk is not digested by the elderly population or individuals with lactose intolerance. This led to the production of vitamin D-fortified mozzarella cheese. Studies found that vitamin D was safer and more bioavailable from mozzarella cheese than milk. An interesting study found that individuals who consumed high dose vitamin D pizza meals observed a positive change in their blood vitamin D3 levels. 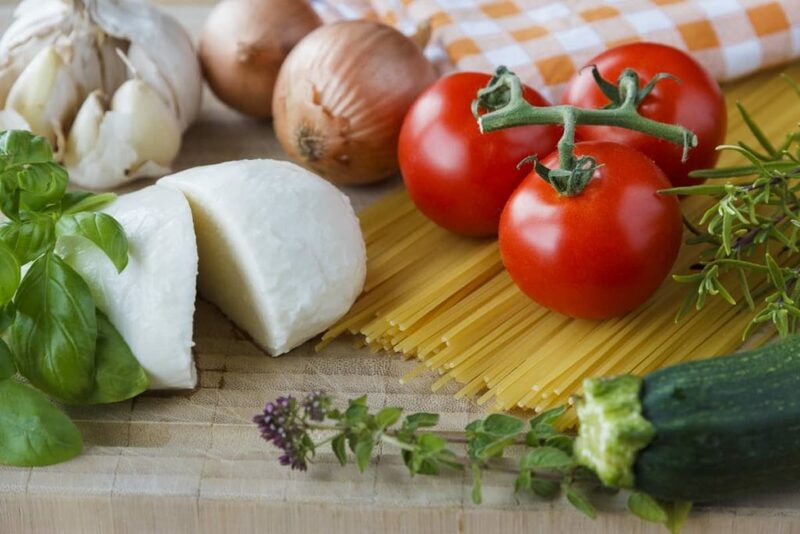 Furthermore, high-temperature heating or baking mozzarella cheese did not breakdown vitamin D.
Mozzarella cheese is a good source of fat-soluble vitamins like vitamin A, and E and a fair source of vitamin K2. The concentration of vitamin A and alpha-tocopherol was higher in mozzarella cheese made from buffalo’s milk and heat-treated cow’s milk. It was further found that the fat composition of milk does influence the nutrient composition of cheese. Mozzarella cheese is a good source of calcium and phosphorus and a decent source of vitamin K2. One ounce of mozzarella cheese contains approximately 140 milligrams of calcium. Calcium maintains the bone structure, strengthens the bones and reduces the risk of bone fractures. Phosphorus is required by the body to enhance the bone-strengthening effects of calcium. Vitamin K2 produces a protein that directs calcium to the bones and makes them stronger. 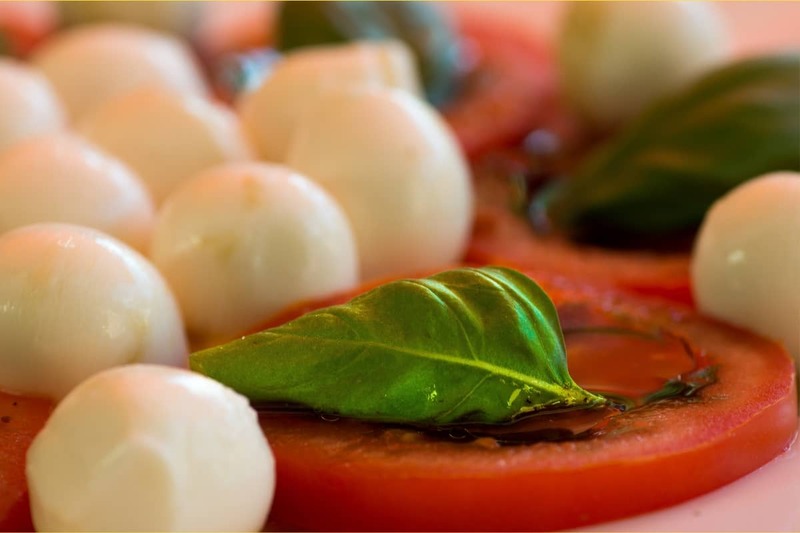 Studies have found that probiotics or the gut-friendly bacteria survive the aging process in mozzarella cheese. Research has further identified 4 different probiotic strains available in mozzarella cheese. These probiotics fight against the unhealthy and bad bacteria by producing antimicrobial substances and thus, probiotics promote gut health. Mozzarella cheese is a healthy cheese option because it is lower in calories and sodium content as compared to other processed cheese options. However, it is not sodium free food. Check the label, some may contain higher salt amount. One ounce of mozzarella cheese contains approximately 80 calories, whereas other cheese varieties contain 100-120 calories. It is also a great source of fat soluble vitamins like vitamin A, D, E and K2 and minerals like calcium, zinc, selenium and phosphorus that are essential for health. Moderate consumption of mozzarella cheese is healthy, but eating it in higher quantities is not advised. Eat not more than 25-30 grams of mozzarella cheese per day. Make sure your total daily intake is 3 servings per day. Note: The above-mentioned portion size is for healthy individuals. Individuals with heart diseases, obesity and altered lipid profile must limit their intake of mozzarella cheese. Also Read: How Is Mozzarella Cheese Made?